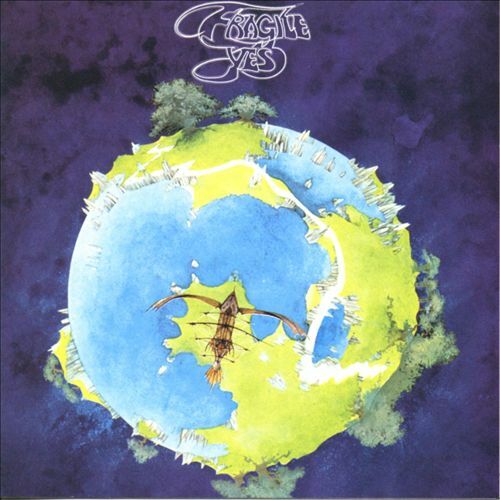 Very few progressive rock bands have enjoyed a career as successful as Yes. Any fan of the genre will undoubtedly have loads to say about the band’s influence on music. With roots in 1960s psychedelia and a seemingly constant change of member personnel, Yes has consistently pushed the boundaries of pop music through lengthy compositions that combine symphonic sounds and rock and roll. The following year, Yes released Close to the Edge which charted even better than the previous two albums and spawned several hits. The band would continue to write and record over the next three decades as their music evolved stylistically. Although many members have come and gone throughout the band’s tenure, early member and lead guitar player Steve Howe remains confident that the band’s current lineup will satisfy Yes fans of every era. Speaking on the new album, Howe stated that “Heaven & Earth has a freshness and different stance from many records we’ve done before.” Check out a preview of Heaven & Earth‘s first track below! Pre-order your copy of Heaven & Earth today at Murfie! Each CD comes with unlimited streaming (Web, iOS, Android, Sonos) and downloads in mp3, aac, FLAC and ALAC. What makes a CD collectible is to some degree a totally personal question. CDs play such a huge emotional role in our lives, and it’s easy for a disc that critics might not consider music’s greatest work of art to hold an irreplaceable spot in your collection. Examples of this include the Avril Lavigne CD that’s still on my bookshelf 10 years later. But from a more objective level, what really makes a CD collectible? I dug up one class of CDs that are widely classified as collectible items. What’s more, many of them can be found on Murfie! Target CDs are a class of CDs that were released by Warner-Elektra-Atlantic in the 1980s. Their name comes from the design WEA used, which resembles a target. They’re also easily identifiable by the bright colors used on the label side in their jewel cases. What really makes Target CDs collectible, however, is the fact that they are original issues. In the world of CDs, these are historical artifacts. Here’s an example of what a Target CD looks like. In addition to being relics of the early days of the compact disc, Target CDs also caught collectors’ eyes (and ears) because of their pure sound quality. These CDs are a “flat transfer” of the original tapes, and have not been subjected to compression or noise reduction. The sounds you’ll find on a Target CD are most true to how the artist intended. If we come across discs that are rare or valuable on Murfie, we’ll give you a heads up so that you know about it! Then you can know to hang onto them, or even sell them for a higher price. It’ll surprise you what gems you’ll find!